Having Trouble with Using a Coupon Code?? 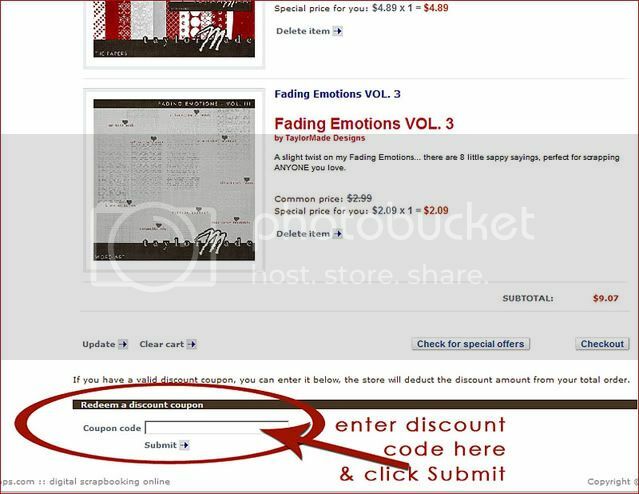 Here is a visual that will help guide you along as you are trying to redeem your coupon. 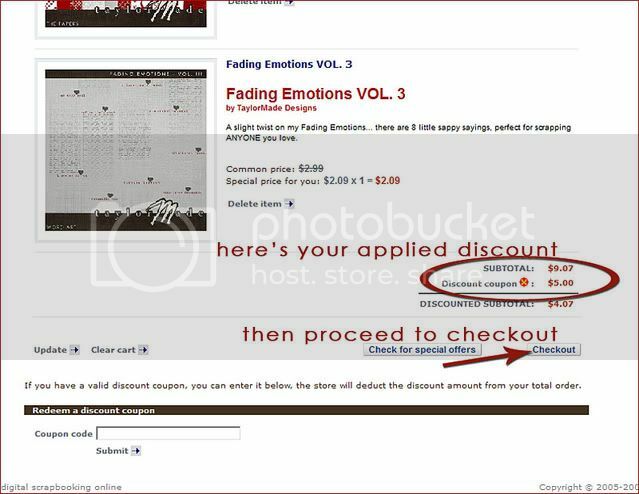 - All coupon codes are case sensative, so double check that you are entering it exactly how it appears. If you are copying and pasting your code from somewhere, be sure that there is no lagging space at the end of your code when you paste it in. 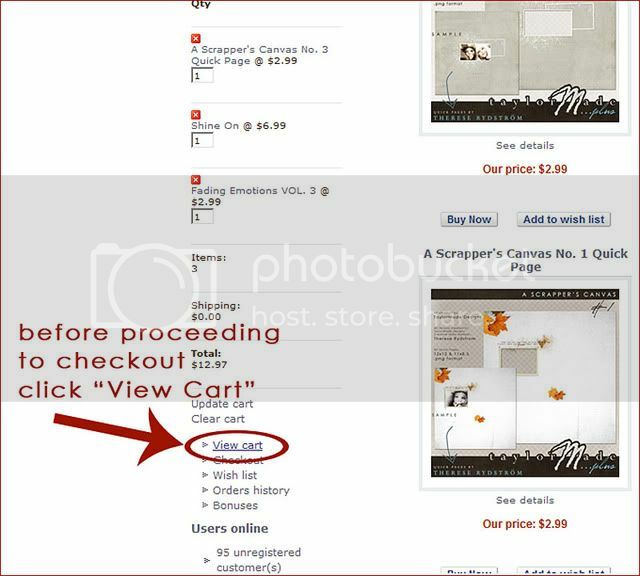 - Be sure that everything in your cart is valid for the coupon you are trying to use. For instance, if your coupon is for a specific for 30% off of TaylorMade Designs, the discount will not be applied to items designed by other designers from Oscraps. - Be sure to check for "Collaboration Projects" that may have been designed in conjunction with other designers. A coupon code for 30% off of TaylorMade Designs is only valid toward items that were designed exclusively by TaylorMade Designs. Collaboration projects (designed by TaylorMade + another designer) will not be discounted. 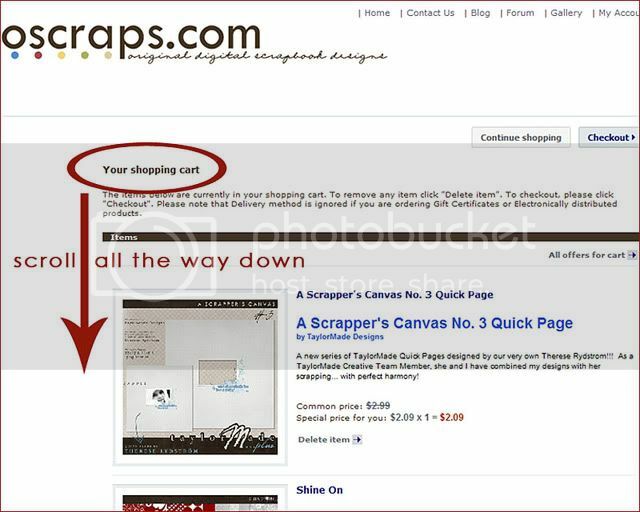 - Double-check to make sure that you are logged into the Oscraps Shop. Keep in mind that you have to log into the shop separately from the gallery or the forums. I hope this helps when you are trying to redeem your codes. But feel free to let us know if you have any questions or get stuck, ok? Happy shopping!! Last edited by Amanda1201; 02-04-2009 at 02:24 PM. Join "MY FRIENDS & ME" Newsletter >>>HERE! Huge fan of: All of the FABULOUS "O" Designers!!!!!!!!!!!!!!! Isn't Everyone??? My Blog -&- I â™¥ TDC! Gorgeous quick page - thank you! Thanks Fairy. I found it by accident cause I was just looking around at the site. New here. yay, thanks for the lovely QP! Proudly creating for FeiFei's Stuff.